Like Dee Dee Bridgewater, Marlena Shaw started out as a jazz singer but made a long detour into R&B before returning to her straightahead jazz roots. 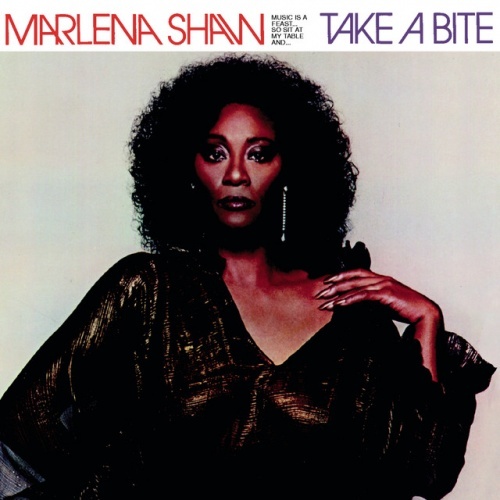 Take a Bite was among the albums that Shaw recorded during her R&B period, and this 1979 LP is her most disco-friendly release. 1979, of course, was the perfect time for her to be disco-friendly -- that was the year that gave us classics like Gloria Gaynor's "I Will Survive," Donna Summer's "Bad Girls" and Chic's "Good Times." Many of the soul and disco enthusiasts who bought this record didn't associate Shaw with Count Basie, but the jazz world did -- and not surprisingly, myopic jazz snobs believed that Shaw had committed heresy, treason and blasphemy by embracing disco. Some of them probably thought that an exorcism was in order. But truth be told, Take a Bite is nothing for the former Basie vocalist to be ashamed of. This LP shouldn't be judged by jazz standards because it doesn't pretend to be jazz; it is, however, an enjoyable disco/soul outing. Shaw takes dead aim at the dance floor with "Suite Seventeen," an extended disco medley that takes up all of Side 1. "It Was a Very Good Year" is the medley's main song, although "Suite Seventeen" also includes everything from Diana Ross' "Touch Me in the Morning" to Sam & Dave's "I Thank You"." A gem that was defined by Frank Sinatra, "It Was a Very Good Year" started out as a traditional pop ballad but works surprisingly well as uptempo disco. Side 2, meanwhile, makes some dance-floor moves but also contains a gospel-drenched soul ballad titled "I'll Be Your Friend." Take a Bite isn't among Shaw's essential albums, but it's a decent record that fans of late '70s disco will appreciate.